If you are about to sell your home and are trying to figure out the things you will need to take care of to make it ready to put on the market – make sure to remember to have your drywall ceiling properly repaired. “Drywall Repair in Northridge” can help you take care of any issues you may have with your ceiling. When you begin to find cracks in your ceiling, you can be sure that anyone interested in buying your home will also see those cracks. Let our expert team of professional contractors make sure you get what your home is worth by making the needed repairs. They have all of the necessary credentials needed to carefully and efficiently repair your ceiling. If you do not have experience or are not a trained professional who works on ceilings, you may not know or understand where the cracks are coming from that are popping up on your ceiling. 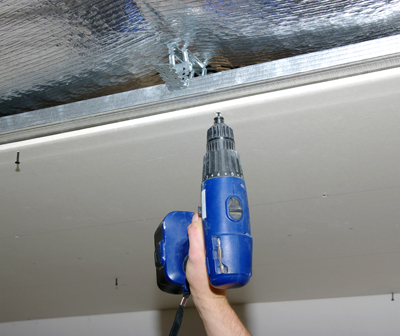 Drywall Repair in Northridge can identify the reason for your cracked ceiling. A crack in your ceiling usually originates from water damage that can be caused from weather, plumbing or your HVAC system. Another reason for the cracks could be the foundation. If the foundation was poorly laid, it can affect every part of your home, including the ceiling. Finally, when a home begins to settle, it may cause small visible cracks. We are able to take care of everything for you, once we identify the exact type of crack that we are dealing with. Our contractors can make sure that you receive the service you need based on their findings. All of which will be thoroughly explained to you before we begin the needed repairs. Don’t attempt to make the repairs on your own. What we often discover is that when homeowners attempt to take care of the repairs themselves, they only patch up the problem and never really taking care of the real problem. This superficial treatment could result in the problem reoccurring shortly after. We can fix it for the long term! Let us show you what we can do for you by calling us today.